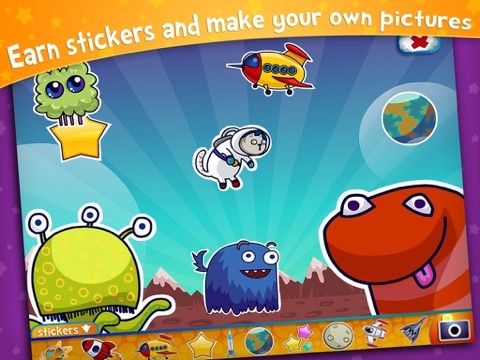 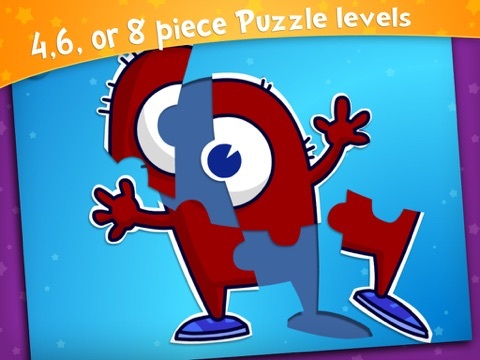 Alien Buddies has given a lot of attention to details in this childrens app. 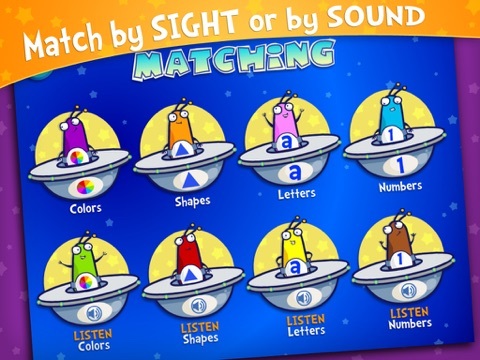 Activities consist of matching colors, numbers, letters, shapes, putting together puzzles and completing connect the dots, all done in an eye catching way. 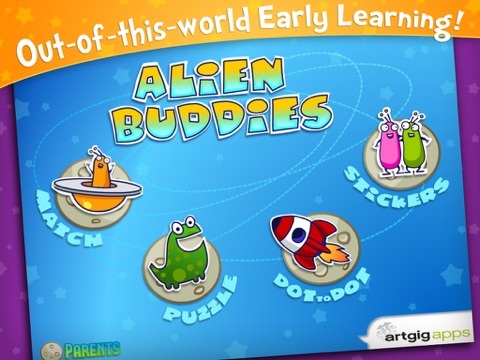 The alien characters are unique, the colors are brilliant, and the activities have both hints and parental options to add difficulty. 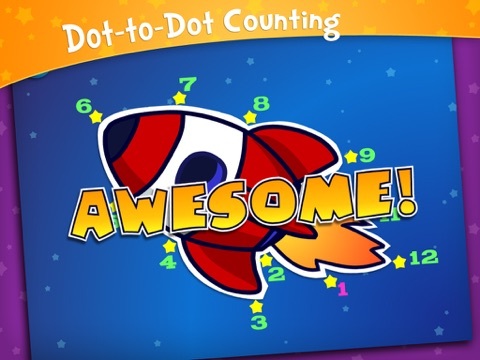 This app is very entertaining for children and the activities, which lightly cover early education skills, are beneficial for children to engage in.